abstract : wall. asphalt. in light particular. on a flat surface altered by night…..
It’s TWO, two shades of brown shadow..
one almost purple just there…. It’s not magic at all…. ….get up off that floor! 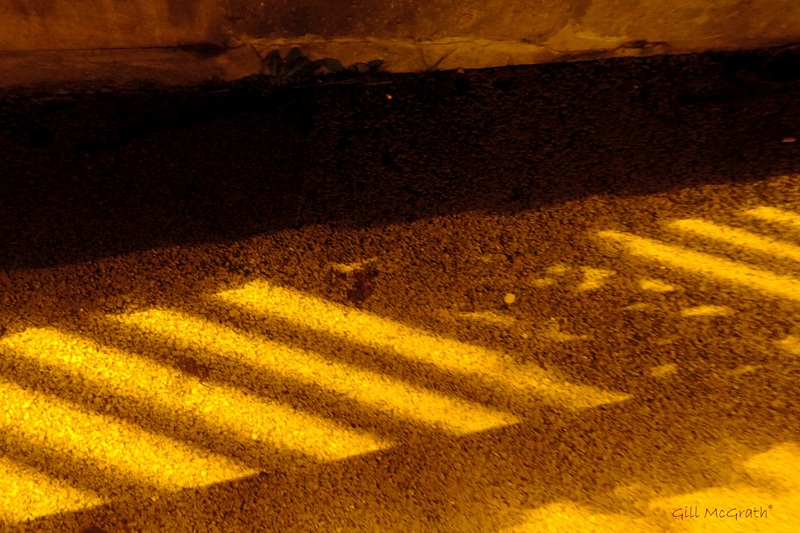 When you count in the night… take care with those shadows! The combination of colour and texture reminds me of a crunchie bar! Thanks Janet. This was fun!